Mr. Sanjeev Palod has attended the seminar on total ware house solution in New Delhi at Pragati Maidan, In the seminar reputed company had their stalls, displaying their products like Aluminum Profile, Trolley, Conveyor Belt , Storage Rack etc. We are glad to inform you that shortly our Velocity ware houses will upgrade Infrastructure with conveyor belt, racks, trolley etc. & quality warehousing (such as Pink filing, Deamrkations ,asset lists) which will increase the efficiency & reduce the work load of labors. 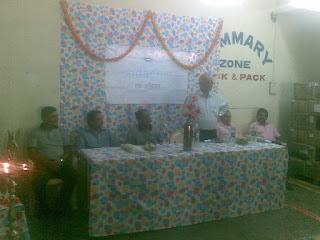 Also , We are glad to inform you that Mr.Nikhil Palod has attended OPPI a day long seminar on improving “Cold Chain Management” in pharmaceutical industry on 7th May 2012 at Nehru Planetarium Hall Worli Mumbai. OPPI highlights key issue in cold chain transport of pharma goods. 1) Insulin & vaccines sector in india growing at 25 % per annum. 2) While india’s manufacturing infrastructure is at par with the best in the world distribution infrastructure lags behind. 3) Cold Chain infrastructure in india even at metros was indeed of overhaul. A casual approach & untrained manpower was hindering growth of pharma exports. 4) All the stages of cold chain which included storage, handling & distribution tracking & monitoring of the products are essential to protect the quality of temperature sensitive product. 5) For effect to cold chain management control & monitoring through hardware by bay of data loggers, software application, training as well as analytic & reporting programs services is must to support customer. 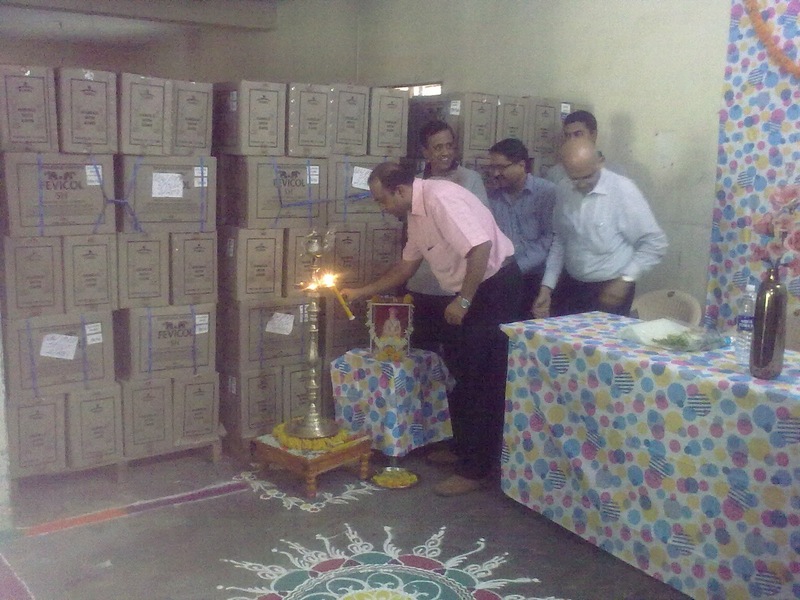 6) WHO has formulated guideline & model requirement for storage & transport of time & temperature sensitive products. The new guidelines are aimed at setting global standers & bringing developed countries methodology in cold chain management developing countries. 7) Only specialized or dedicated logistic services providers with define procedure & trained staff should be appointed. 8) Compressive standards operating procedures (SOP) should be in place for distribution & storage of vaccine & cold chain products. 1.Mr. 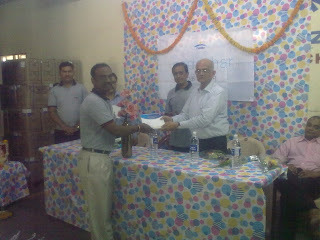 Vishal patil as a HR Assisatnt and Transport Manager. His Education Qualification was BA.LLB. MBA. 2. Mr. Mayur Wani as Personal Assistant of Mr.Sanjeev Palod Sir His Education Qualification was BBA. 3. Mr. Dhananjay Shinde as Account Asst. For Accounts Department. His Education Qualification was M.com. With 2.5 Years Exp. 4.Mr. Vanraj Meshream as Computer operator for Account Department. 5.Mr.Sagar Shinde as Store Asst Exide.His qualification is ITI (Electricals). 6. Hrushikesh Mahindre as computer operator for pidilite. They are conducting such activity at C&FA’s and developing Standard Operating Procedure. 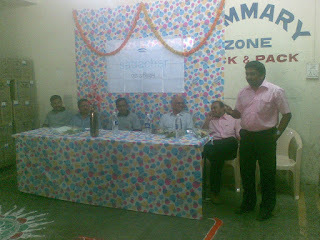 Which is successfully conducted at Pune CFA –ware house on 25th April’12? Mr.Atul Kambli (ware house head )&Mr.B.M Nayak (Transportation head ) alon with Mandar Kulkarni (Regional ware house head) & Dilip Pujari (Regional logistic account head) Visited Pune CFA to educate us on Sadachar practices which contents communication atticates, systematic storage etc. The visitors also had a round around warehouse and expressed satisfaction over the hygiene, cleanliness, neatness, filing systems and condition of stocks. Sadachar Launching at Pune CFA on 25th April'2012. hygiene,cleaniliness,neatness ,filing systems and condition of stocks. though they are handling CFA activity for several other companies. 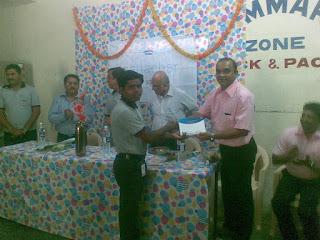 The awards were given to below team members.